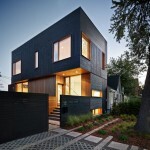 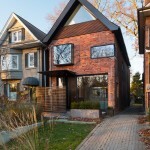 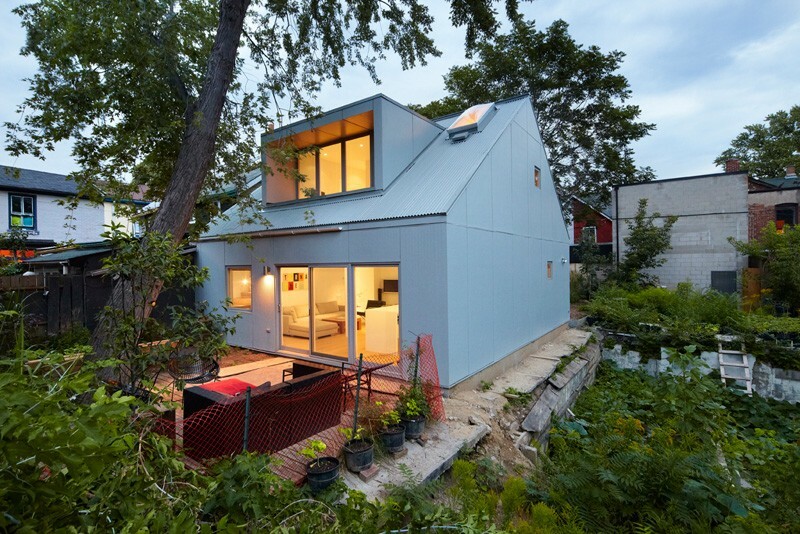 superkül designed the Gradient House, a contemporary laneway house addition to an existing house in Kensington Market area of Toronto, Canada. 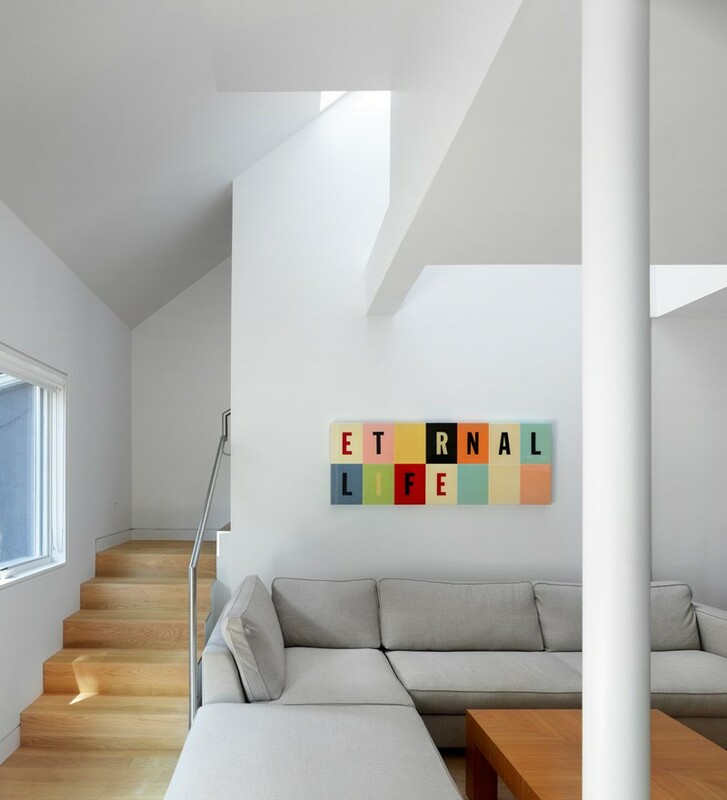 Deep in the heart of Kensington Market, this laneway house is distinguished by its monochromatic, robust form, and a sculptural interior awash with light. 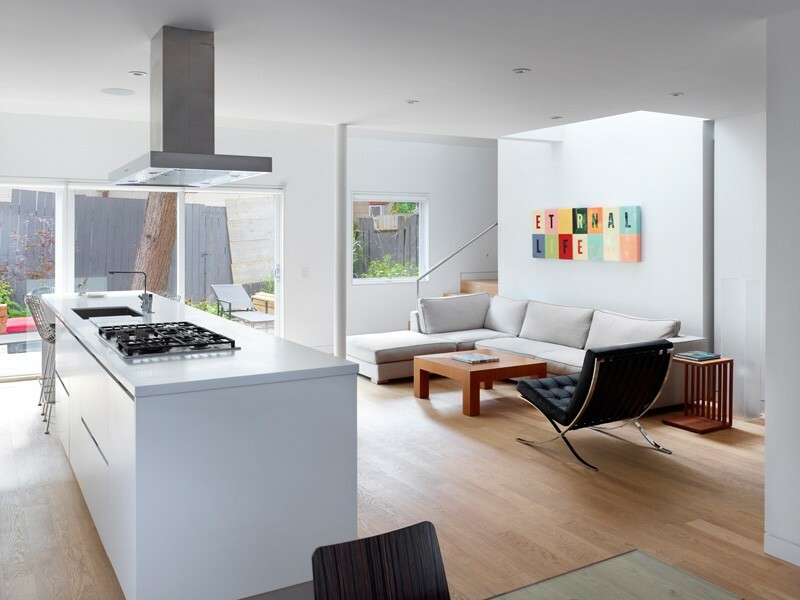 Designed with its neighbourhood in mind and tracing the footprint of the existing building, this archetypal house is sited on an unconventional “L” lot, tucked away from the street, and shaped by a few simple moves. 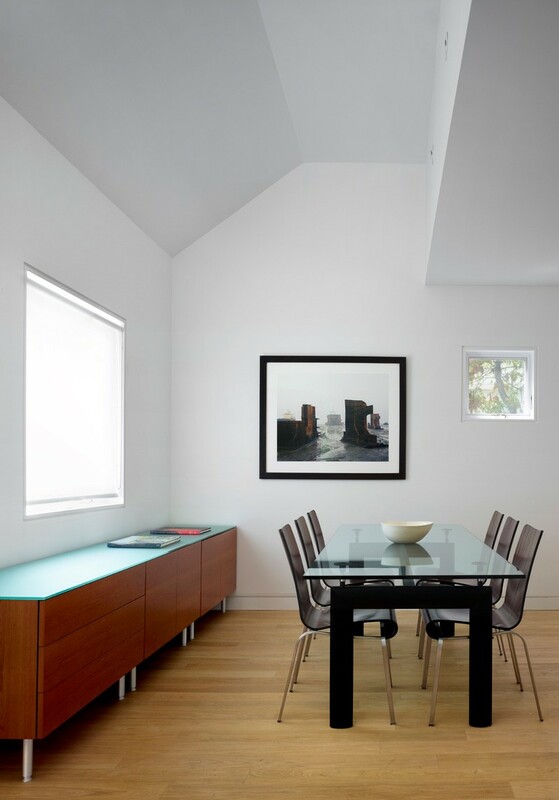 Oversized dormers push out of the pitched roof, their glazing pulled back in to create recessed windows that provide greater privacy on this small interior lot. 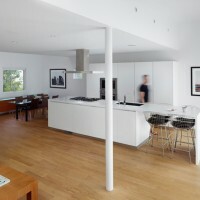 Inside, the second floor “drops” into the ceiling space of the ground floor, creating 11-½-foot cathedral ceilings that flank two sides of the open plan. 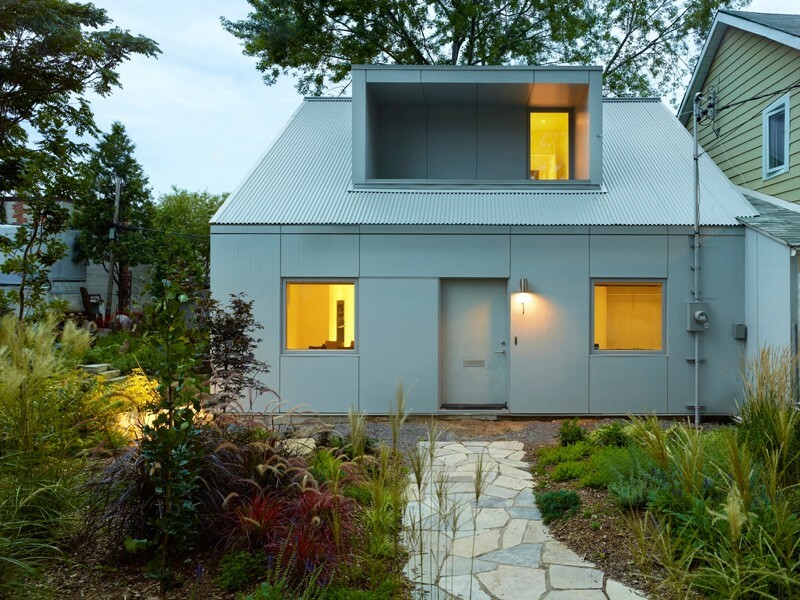 Outside, dove grey cement board cladding and corrugated steel roofing unify the exterior as a single monochromatic figure and the square plan is echoed in the square windows front, back and side. 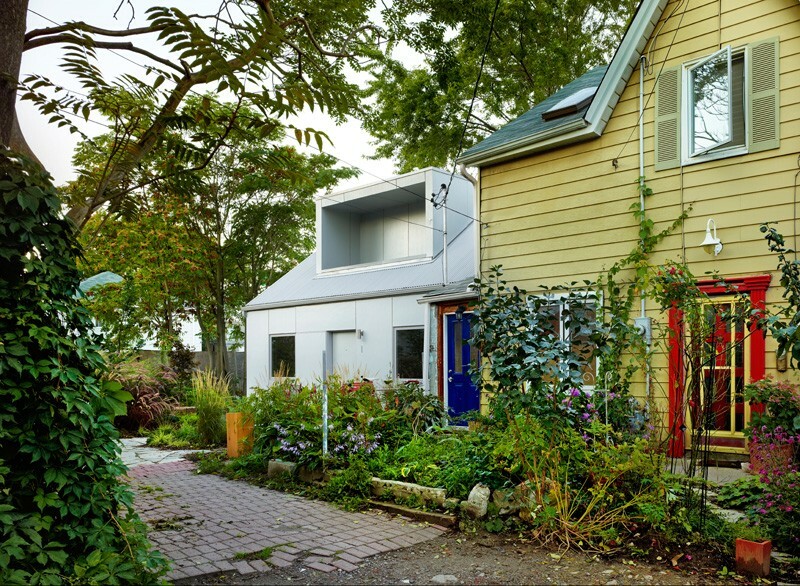 The form of the house takes its cues from the original building but with a slightly steeper pitch to the roof and the addition of dormers. 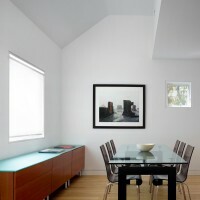 The white interior provides a foreground for glimpses of the neighbourhood and city beyond. 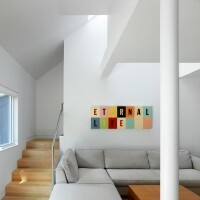 Light filters into the space from the east and west through large openings and skylights, which allow for cross-ventilation and views through the ground floor space. 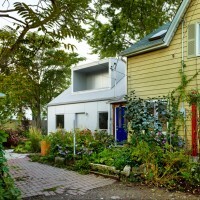 Small gardens front and back expand the modest living space to the outdoors. 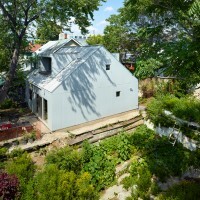 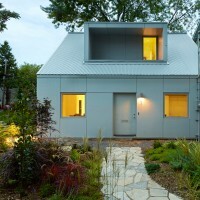 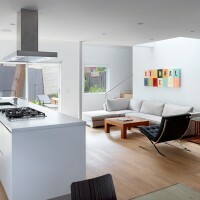 The house achieves a volume and generosity of space that belies its small footprint and the economy of means with which it was built, ultimately accomplishing a strategic sustainability on this unusual infill lot.